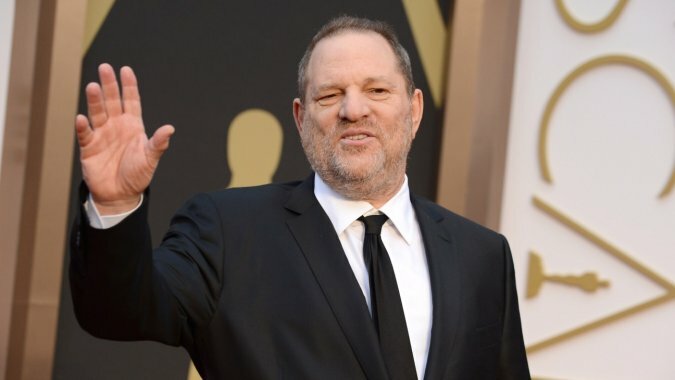 Harvey Weinstein is the “King of Independents” and if he wanted to teach like myself, Dov Simens, here’s what he’d say… maybe? First and most important is that Hollywood is the greatest Bull Sh*t industry in the world and “Don’t try to Bull Sh*t a Professional Bull Sh*tter”… Hollywood is a “Professional Bull Sh*t” Industry. Second understand that people in Hollywood, although Bull Sh*tters are “fr*ckin’geniuses”. No, I stand corrected… they are “super fr*ckin’ geniuses”. Why? (pause to think) Simple. The movie industry, out of 5,000 manufacturing industries in America, is one of only 4 industries (Aerospace, Agriculture & Armament being the other 3) that actually profits and brings money into America. Plus, if you took government funding support out of the Aerospace, Agriculture & Armament Industries they would fall apart & disappear in 30-seconds. Thus, Hollywood stands alone in (A) making profits and (B) making America richer….Wow. And they do so (yes, some fail, claim bankruptcy, disappear and pop up again 2 years later) by making that stuff which you actually call crap. So if you desire to succeed in the movie industry please respect the “suits”… they are “geniuses”. Now, below are some of the things, the lessons, I’ve learned (If Harvey could teach but these once again are Dov’s words) from years in the trenches that you better get ready for. (ONE) SHORTS: If you’re an adult….Don’t make a short. Shorts are dumb. No one buys shorts. You ain’t gonna sell it…So all you teach people is you know how to go broke. (THREE) CAMERAS: No one in Hollywood gives a hoot about what camera or format you plan on using and if they ask you, “What format did you shoot” then they don’t give a hoot about you…. Matter of fact iPhone and Samsung’s new smartphones are 4K. (FOUR) 10-PAGES: Hollywood Execs only read 10 Pages. Bull-Bull-Bull. Hollywood Pros can tell if your script s*cks from perusing the first page. Learn to cut-to-the-chase and grab-the-reader by line 6 of Page-1 and then on the last line of Page-1 have another grabber so it makes the reader, who definitely has no desire to read a script from a nobody, now want to turn the page. And, if you grab-the-reader on Page-1 he/she will read 10-pages. And if you, now, grabbed the reader over 10-pages he/she will now read the entire script. (SIX) BUDGETS: Everyone lies. Only fools & first-timers ask “What’s your budget”. My budget, Warner’s budget, Sony’s budget is none of your bloody business and if you ask they will always tell you a number that is either grossly-inflated (600-800%), throw in the phrase “just-under” and say $100 Million or it is grossly-deflated (60-80%) when marketing a true low-budget film that is marketed as made with “raw talent” and then you hear the phrase “shot-for”. (SEVEN-A) FESTIVAL CIRCUIT: When you hear “Ya Gotta Do the Festival Circuit” it means they hate you; they want you out of there face; they don’t even want to view your flick on a laptop… Bottom-Line: There-Ain’t-No-Festival-Circuit”. It’s totally Hodge Podge. And buyers (who you’re trying to get to see your film on a laptop) only go to about 8-10 of the 3,000 Festivals… Thus, 2,990-2,992 Festivals, if you want to be bought, are U-S-E-L-E-S-S… There ain’t no circuit! (SEVEN-B) FESTIVAL CIRCUIT: Plus Festivals are’t free. Can you tell me what Redford charges? What does Deniro want for Tribeca? Cannes? Berlin? Please talk money. Entrance Fee, Flight, Hotel, Publicity, Posters, Media…. (EIGHT) FILM IS ART: Yuk-Yuk-Yuk. It ain’t called “Show Art”… It’s called “Show Business”. And, If it’s art, and you want to believe that, then do it for free and give it away… There are some artists, aka: artistes, that actually do that (Kostabi I get…still haven’t figured out Banksy) and I truly respect them. (NINE) HOLLYWOOD RESPONSIBILITY: It is important to send a positive message. Wait a minute. Not true. Hollywood is in the Business of renting seats and selling sugar and if you want to send a message “Call Western Union”. (TWELVE) TALENT: We’re looking for talent. Give-me-a-Bloody-Break. Just drive over to Paramount; stop at the front gate; say hello to the guard and tell him “Hi, I’m Talent. Heard you’re looking for me. Where should I go”…. Bet you get nowhere. Now go to Warners, Sony, 20th and try the same thing (Yuk-Yuk-Yuk). Hollywood ain’t looking for talent… Hollywood is looking for (A) Money and (B) Marketable Names that they can Monetize into Money. If you have actually made a film (short or feature) and learned from the School-of-Hard Knocks then please-please share and help a first-timer to save money & time so he/she can make his/her dream real. He made one film in 1988. Enlighten me otherwise? If Dov does know so much about making movies why has he made a career of telling people how to make movies and not actually doing it? I took your course 20 years ago. I also worked in Hollywood for 15 years. Everything you say is true. If someone wants to work in Hollywood, they must know this. For me, I decided to stop working in Hollywood and moved overseas. Now I’m making an independent movie in a foreign country, speaking a foreign language, with an international crew, financed by individuals, and distributed on the open platforms you talked about, plus limited theatrical release. If someones follows the Hollywood path you describe, it will be a soul-sucking endeavor akin to flipping burger at Micky-dees, rather than a chef at a 5 star restaurant. If that’s the kind of life you want, and artistry means nothing to you, surely go for it. Yes, very few people get to make blockbusters, but lots of people get to make small films now. Start small. Worry about blockbusters later. I agree to all you have stated. Cant wait to get my hands on your new set of DVDS. I have studied the heck out of the 2004 ones that you had to offer all of us MOVIE makers : ) Im ready for more as my picture is in the final pre-pro. stages. Happy Holidays Dov to you and your team ! I can easily say-to this day-that you and your sensible, usable, wisdom of knowledge is the one singular thing that has caused my movie to finally have life and me, a new life ! Your teachings were the ONLY KEY that turned everything around for me. THANK YOU DOV. He’s a teacher you idiot. Imagine Larry Page & Sergey Brin ridiculing their computer science lecturers of for not creating Google. Does that make any sense?